This past week the Playbook War Room decided to give you tips on players to sit in Week 13. So before we move on to Week 14, let’s take a look back at some players the War Room thought would disappoint. Dustin Keller, Jets: Playbook thought that the Redskins’ linebackers would be able to cover Keller in space and limit his production after a big game against the Bills. Keller only caught three passes for 12 yards. 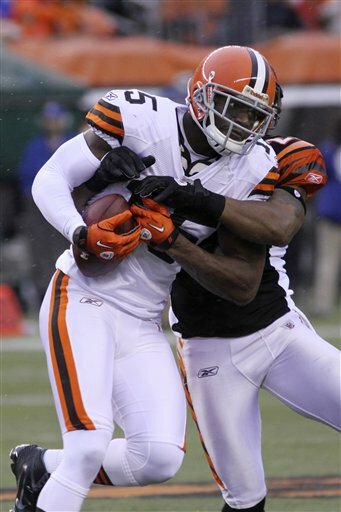 Greg Little, Browns: Little had solid numbers the week prior, but the Playbook guys didn’t like his inconsistent play, and thought the rookie would struggle against the Ravens defense. Little caught just three passes for 18 yards. Steven Jackson, Rams: Jackson had a tough assignment going up against the San Francisco defense, but many owners believed he was still worth starting. Playbook urged owners to stay away from Jackson because of the St. Louis offensive line, and he only carried the ball 10 times for 19 yards. 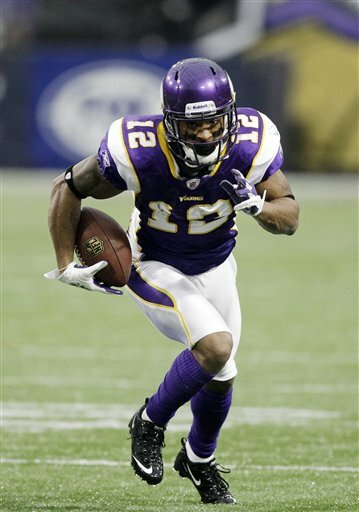 Percy Harvin, Vikings: It seems like Harvin has come on really strong since Christian Ponder took the reins of the Minnesota offense. The Playbook guys were weary of him playing against the stout Denver defense, but Harvin didn’t flinch. He finished with a monster game, catching eight passes for 156 yards and two touchdowns. Make sure you check back later in the week for tips in the upcoming slate of games.